Running in Portland, Oregon. 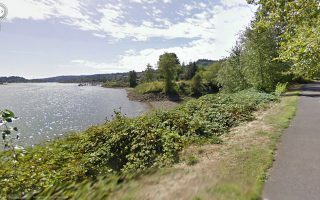 Best routes and places to run in Portland. Portland, OR is one of the most active cities in the country. 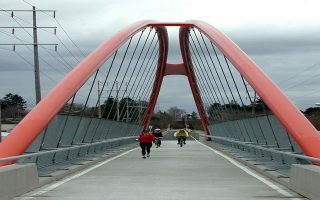 Boasting over 300 miles of bike paths, 200 miles of running trails, and encouraging active over motorized transportation, Portland is routinely ranked as one of the top running cities by Active.com, Runner’s World, and the American College of Sports Medicine. It is also the headquarters for shoe manufacturers Nike, adidas, and KEEN. Also, in keeping with its bike and pedestrian friendly ethos, all 12 of its downtown bridges are accessible for runners, including the new Tilikum Crossing, which is the only bridge unavailable to private cars. There are great places to run in Portland, Oregon. Downtown, the focus is on the wonderful paths along the Williamette River. 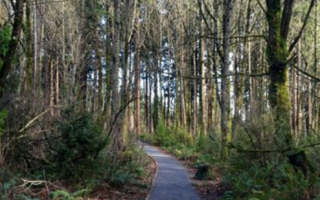 Just a couple of miles from downtown, there are great residential areas for running, as well as extensive Forest Park, Washington Park, and options around Terwillinger Blvd. Topgraphically, most of the downtown area is flat, but things get hilly in a hurry in the Northwest and Southwest parts of the city toward the Tualatin Mountains, or “West Hills”. Portland also provides an efficient and widespread public transportation system in the downtown area, and extending to the suburbs. The TriMET MAX system serves as its above ground light rail and traverses most of the city. It also has bus lines, and the TriMET WES Commuter Rail line, which takes residents and visitors in and out of the city to the suburbs and the airport. This is the signature run along the Williamette River in Portland. Landmarks include the Tom McCall Waterfront park, Oregon Maritime Museum, the Oregon Museum of Science and Industry, and the Eastern Esplanade. 2+ mile linear park is a great running option close to downtown. 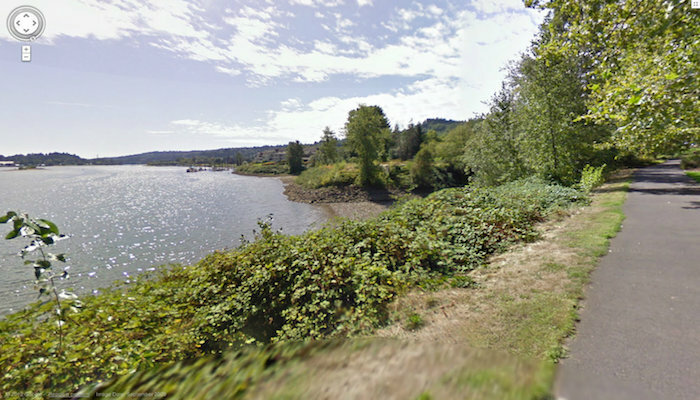 It's a winding road with a separate running/walking path along the boulevard, running up a wooded hillside. Popular with runners. A bonus is it's well lit at night. Hilly! 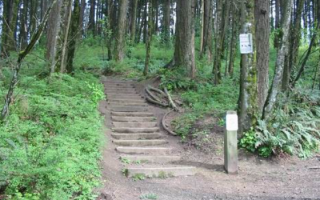 A variation on the Terwilliger Boulevard trail detailed earlier, this run culminates at Council Crest, the highest peak of the Tualatin Mountain range at 1,071 feet. 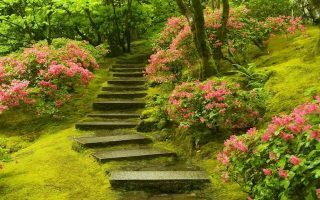 Another way to run to the Council Crest Peak is through Washington Park, home to some of the more scenic landmarks in Portland including the Portland Japanese Garden, the Portland Children’s Museum, and the Washington Park Ampitheater. 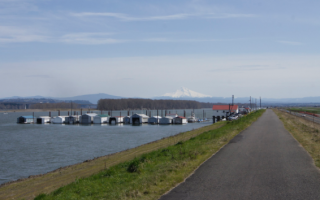 Extending along eastern part of the waterfront and curving south east, this route will pass by many of Portland’s famous bridges, and the connected Ross and Hardtack Islands in the middle of the Williamette River. The largest urban forest in the United States. 80+ miles of soft-surface trails, fire lanes and forest roads, stretching for 7 miles along the eastern slope of the Tualatin Mountains. Tons of options here. We've mapped the first 3 miles of Lief Erickson Rd. This National Recreation Trail meanders for 30.2 breathtaking miles, from the southern end of the trail at the Vietnam Veterans Memorial in Washington Park to the Northwest terminus of the trail at Newberry Road. Good options near the airport are along Marine Drive, a 12-mile long bike path; and Blue Lake, with 100 acres of trails, wetlands, and the titular lake, which is formed from underground springs. Portland’s weather is moderate. 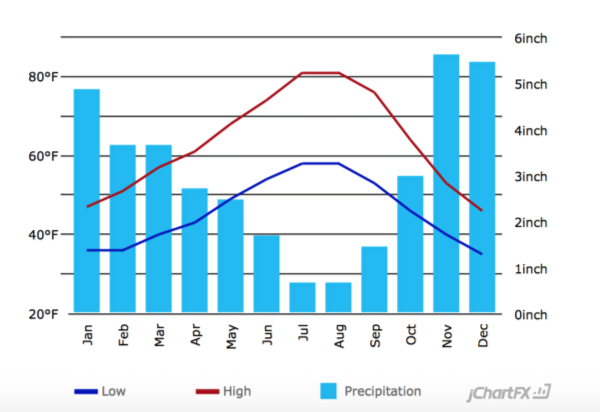 Winters are cool with quite a bit of rain and many wet days, but little snowfall. Summers are gorgeous — generally dry, around 80 during the day, and rarely too hot or humid. Temps drop off in the evening during summer more than in some other cities. Like most cities where the downtown area centers around the waterfront, Portland has many hotels to stay near the iconic routes. 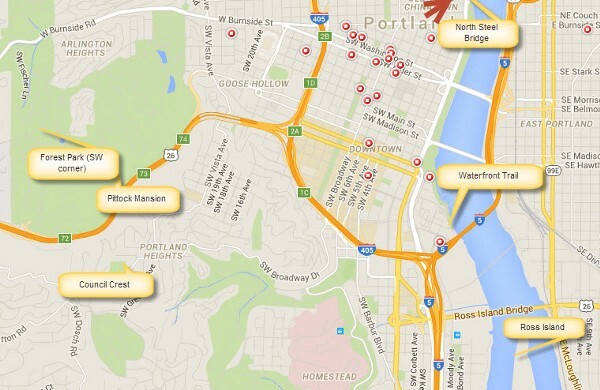 The largest cluster of hotels is on the western side of the river between W. Burnside St. and SW Clay St. There are also hotels on the eastern side near the Convention Ctr./North Steel Bridge, with good access to the waterfront trails. It is no surprise that an active community and city like Portland has many helpful independent running stores to choose from in the downtown area. Foot Traffic – There are four branches of this store: Downtown, Northeast, Southeast, and Western Portland. Boasting a handful of maps and routes around in the city on its website, Foot Traffic also hosts free group runs every night of the week, between all four locations. They also host two half marathons during the year: the aforementioned, Easter-themed Hop Hop Half and 5K, and the Holiday Half and 5K. Road Runner Sports. Near Washington Park/Japanese Garden. Fleet Feet Sports PDX. Downtown, between the river and Kings Heights. Many group events. Group Running Calendar. Red Lizard Running Club – Formed in 1992, Team Red Lizard hosts free group runs every Tuesday, Wednesday, Thursday, and Sunday evenings, welcoming all non-members to run. 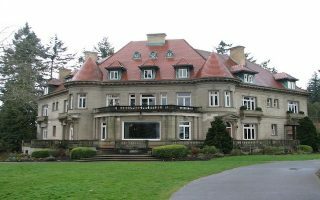 Thursday evenings in fall and winter, the group runs the Council Crest route described above; in the summer and spring, they run the Pittock Mansion route described above. Oregon Road Runners Club – Formed in 1970 as an outgrowth of the Trails End Marathon, the ORCC is the second oldest running club in Oregon. With over 1000 members, it is the largest running club in the west and among the top ten largest int he country. 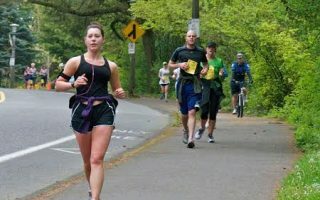 Portland Marathon and Half Marathon . October. Ranked by Runner’s World as the “best people’s marathon in the west” and routinely ranked as one of the top 10 marathons in the country, the race will celebrate its 45th anniversary in October 2016. The half marathon portion of the race fills up fast, with registrations filled up by early February every year. Adidas Shamrock Run. March. The largest running event in Oregon, and the second largest on the west coast, the adidas Shamrock Run offers a race for runners of any distance: 5K, 8K, 15K, half marathon, 5K walk, and a 1K for children 10 and under. Held the Sunday closest to St. Patrick’s Day, this festive race will be run for the 38th time this year and has sold out for six consecutive years. Hood to Coast / Portland to Coast Relay. August. One of the largest relays in the world, the Hood to Coast is an overnight running event, usually held in late August, the Friday and Saturday before Labor Day. 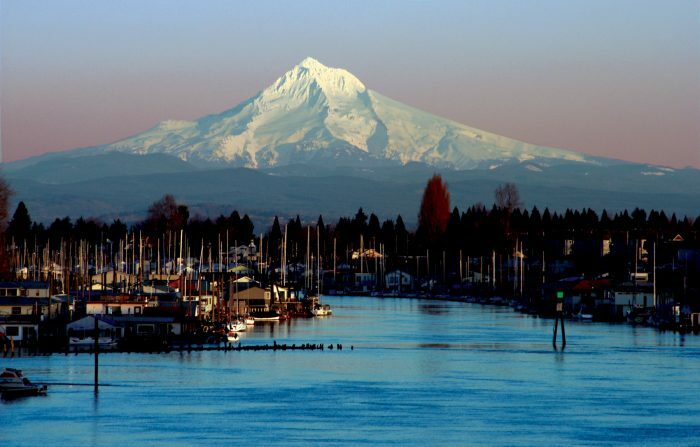 Starting at Mount Hood and consisting of 200 miles to the coast of Oregon, over 1,000 12 person teams compete. Enjoying great popularity, this event has sold out on opening day of registration for the past 18 years. 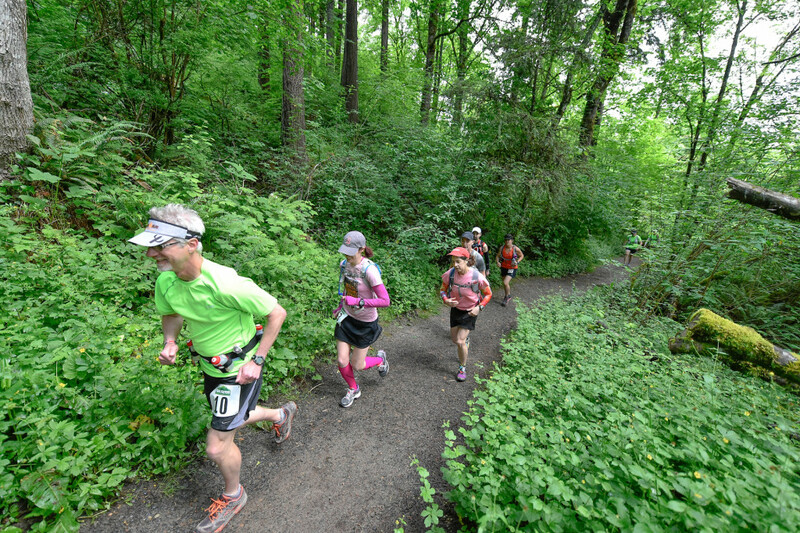 Trail Factor Half Marathon – Held on or near Memorial Day each year, the Trail Factor Half Marathon runs through the rolling trails of Forest Park in the NW section of Portland. 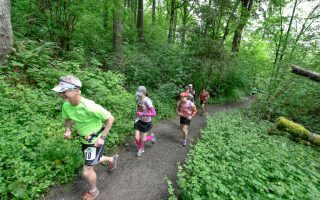 This challenging, but scenic, course is new to the Portland area and benefits the Forest Park Conservancy.